Our economy wash and detail package, perfect for vehicles that are just a bit dirty and need a quick topping off. Complete interior detailing package for when you want the best possible interior clean. No job is too big or too small. Complete exterior washing and detailing package for when your vehicle needs to shine like new from the tires to the roof. Snow foam wash, dry, clean wheels, dress tires, vacuum, dust down interior, clean door jambs, cupholders, windows. Vacuum, clean vinyl, heated fabric extraction, steam clean interior / vents, treat vinyl, clean windows, door jambs, deionize odors. Snow foam wash, clean wheels, clay bar treatment, chemical decontamination, machine DA compound / polish / wax, dress tires, clean windows. Includes everything in our Interior Detail, Exterior Detail, Engine Detail, Steam Cleaning, Wheel and Glass Polishing & Headlight Restoration. Degrease, steam clean engine bay and apply sealer for a beautiful shine. All wheels cleaned, polished and sealer applied for long lasting shine. Restore scratched, foggy headlights to a crystal clear, brilliant clean. 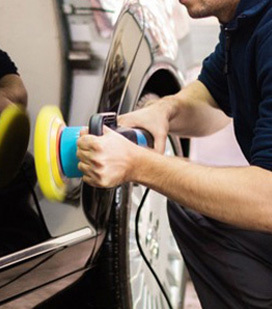 Weather resistant, anti static nano coating that will shine and protect your vehicle like nothing else. Steam cleaning of interior to eliminate odors and 99% of bacteria, viruses, and mold. Want something that's not listed here? Just contact us and ask! We strive to accommodate all requests.